So-called Air Defense Identification Zone (ADIZ) imposition by any country involves protecting its national security interests. Foreign aircraft entering it without authorization may be intercepted, ordered out, or forced down if refuse. In the case of the South China Sea, vessels could be interdicted for entering protected waters without permission. US-generated tensions risk escalating dangerously. A previous article indicated China intends deploying nuclear-armed subs in Pacific Ocean waters for the first time – to counter America’s growing threat. Unjustifiably claiming freedom of navigation rights, provocative US air and naval military patrols, along with joint exercises with Asian allies, ups the stakes for possible direct Sino/US confrontation. Its Defense Ministry declared its sovereign right to impose it. Its 2013 East China Sea AZIZ includes waters and islands claimed by other regional countries. 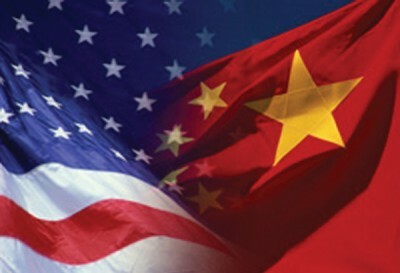 Beijing wants provocative US air and sea-based surveillance activities stopped. Its Defense Ministry minced no words, calling “large-scale and frequent (US) close-in reconnaissance activities against China by US military vessels and aircraft” unacceptable close encounters, the “root cause” for its security concerns. Stephen Lendman lives in Chicago. He can be reached at [email protected] His new book as editor and contributor is titled « Flashpoint in Ukraine: US Drive for Hegemony Risks WW III. » http://www.claritypress.com/LendmanIII.html Visit his blog site at sjlendman.blogspot.com. Listen to cutting-edge discussions with distinguished guests on the Progressive Radio News Hour on the Progressive Radio Network.